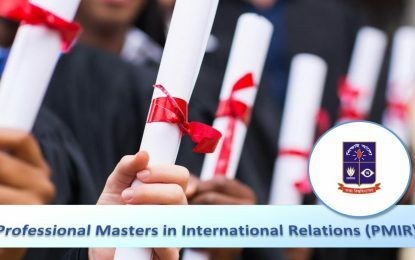 In the BSS (Honours) Degree Programme in International Relations (IR), students are admitted under the Faculty of Social Sciences. Students coming from any background of Arts/Humanities, Science, Business Studies at Higher Secondary Certificate (HSC) or equivalent are eligible for admission. Required GPA at HSC or equivalent is determined by the Faculty/Faculties responsible for administering the admission test(s). Other conditions are determined by the Department and are executed by the Faculty/Faculties concerned during the admission process. Admission seekers with Arts/Humanities background at HSC or equivalent are required to sit for admission test under ‘Kha Unit’ (‘B Unit’) administered by the Faculty of Arts. To be eligible for admission in IR, they must meet the following conditions: study at least 200 marks English at HSC or equivalent;secure minimum ‘C’ grade in English at HSC or equivalent; and score minimum 14 for ‘English’ part of the Admission Test. Candidates with background in Science or Business Studies at HSC orequivalent are required to sit for admission test under ‘Gha Unit’ (‘D Unit’)administered by the Faculty of Social Sciences. 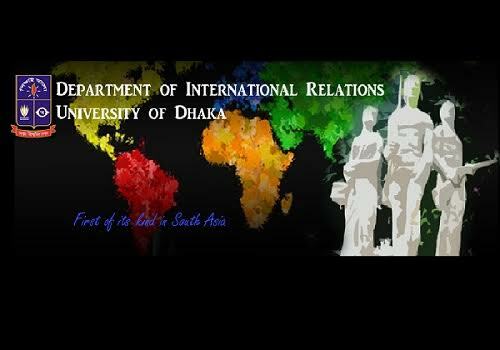 They should meet the following conditions for admission in IR: study at least 200 marks English at HSC or equivalent; and score minimum 14 for ‘English’ and 15 for ‘General Knowledge’ (International Affairs) parts of the Admission Test. Assessment and grading follows the general guidelines of the Faculty of Social Sciences. They are determined on the basis of (1) an overall assessment of student’s performance in Mid-semester Examinations; (2) semester final examinations; (3) term papers/assignments; (4) active participation in the class discussion/tutorial class/group presentation/class test; and (5) class attendance.The distribution of marks for assessment in each course is as follows. Marking for class attendance follows the corresponding attendance range (in percent) as illustrated below. For each course, marks for the Semester Final Examination, Mid-Semester Examination, Term Paper, Tutorial, and Class Attendance are totaled and converted into letter-grades following a 4-point grading scale presented below. * ‘F’ grade is indicative of an unacceptable ‘failing’ performance overall by a student, i.e., fail to earn any credit. ** ‘I’ grade is indicative of a situation where a student, for non-academic reasons beyond his control, is unable to complete the full requirements of the course for not being able to sit for the Semester Final Examination. With the submission of valid and authenticated evidence of such reason(s), and the recommendation of the course teacher, that particular student shall be allowed to complete the Semester Final Examination with the next batch. Meanwhile, the student concerned will be promoted to the next semester. If an ‘Incomplete’ grade is not cleared with the next batch, the ‘I’ grade shall automatically be changed to an ‘F’ grade. A maximum of two ‘I’ grades shall be allowed to a student in one Semester. 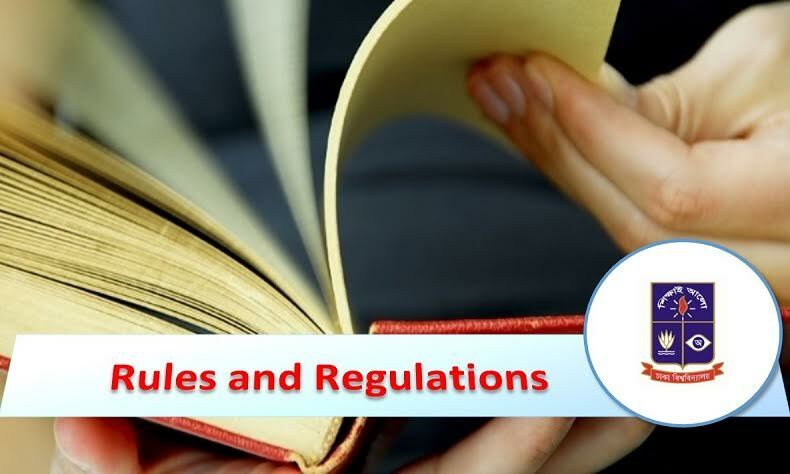 *** ‘W’ grade shall be awarded when a student is permitted to withdraw/drop a course/semester without penalty. Withdrawals without penalty are not permitted after the mid-semester examination. However, a student may take re-admission in the semester concerned with the next batch by paying the fees for the whole year. N.B. : Any course in which a student has obtained either ‘F’, ‘I’ or ‘W’ grade will not be counted as his/her earned credits. ‘F’ grade will not be counted for SGPA calculation, but will stay permanently on the Grade Sheet and Transcript. For promotion from First Year to Second Year, a student requires to earn a minimum CGPA (calculated for First &Second semesters combined) of 2.00. For promotion from Second to Third Year and Third to Fourth Year, a student requires to earn a minimum CGPA of 2.25, taking into consideration all the grade points earned in total number of courses of First through the Final semester and improved grade, if any. A student failing to clear up the annual University or Departmental dues (and other related official requirements) of the year of study shall not be promoted to the next semester. A student earning ‘F’ grade in any course shall be allowed to improve the grade with the next batch. If a student obtains a grade lower than ‘B’- in a course, he/she will be allowed to repeat the term-final examination only once with the next batch for the purpose of grade improvement by forgoing his/her earlier term-final marks. If a student obtains ‘B’- or better grade in any course, he/she shall not be allowed to repeat the course for the purpose of grade improvement. If a student likes to improve the grade point earned in a course of 8th semester for the BSS (Honours) degree programme, he/she must apply for such improvement examination before the certificate is issued. Improvement shall not be allowed once the certificate is issued. A student carrying grade ‘F’ in any course shall not be awarded the degreeunless he/she improves it by appearing at the semester final examination with the next batch. If the student gets ‘F’ grade in the improvement examination, he/she shall automatically be dropped from the semester and the student shall have to take re-admission with the next batch, provided the student concerned is eligible for re-admission. For the improvement of grade in a course, the student shall apply to the Chairperson of the Department at least 4 (four) weeks before the start of the Semester Final Examination. A student shall be allowed to improve the grade of a particular course only once. No improvement shall be allowed for the Mid-Semester Examination, Term Paper and Tutorial; and the grades earned in written and oral comprehensive examination. A student failing to get the requisite grade points for promotion from one semester to the next may seek re-admission with the following batch. For re-admission, a student shall have to apply within one month after the announcement of result of the concerned semester. In case of re-admission, grades earned earlier by a student in the class of admission shall cease to exist and the student has to retake all the course works and examinations. A student will not be allowed to take re-admission for more than two semesters during the entire BSS (Honours) degree programme. A student failing to earn the CGPA for promotion from one semester to the next after taking re-admission on any semester shall be dropped out of the programme. A student earning ‘F’ grade in any course after taking improvement examinations or re-admission in any semester shall be dropped out of the programme.